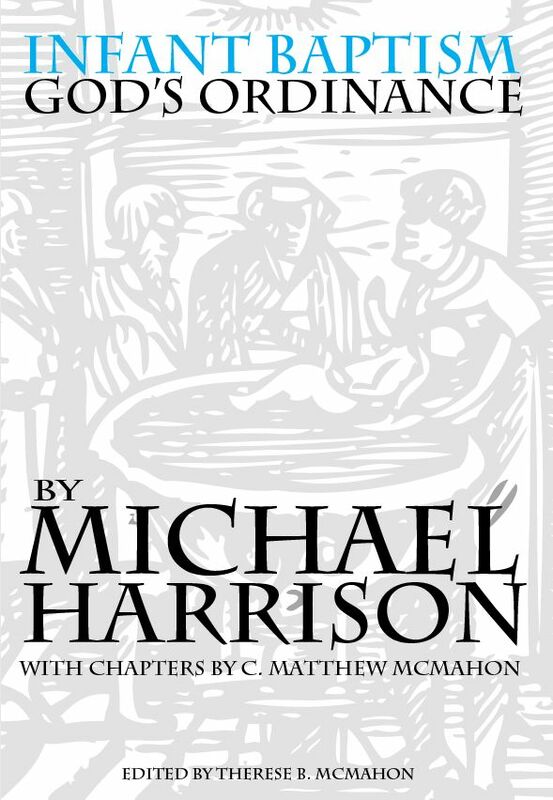 A refutation of my own sixth article on Baptism and Hermeneutics. The question of my previous Article 6 is really, “Should we look to the Old Testament to foundate or build the New Testament church? Should we look for positive institutions in the New Testament to substantiate the doctrines of the church, or can we look to the Old Testament for positive institution for worship as well?” The Baptists, such as RBC Howell, John Gill, and William Shirreff say “Absolutely not!” They are consistent Baptists. I have already shown in the last article that this is nonsense. However, in article 6, I take the nonsense to greater heights. In article 6, I pointed out the “fact” that Christianity is not Judaism – which is correct. Christianity and Judaism are not equals and not the same religion. Though Christianity grows out of Judaism, so to speak, it is not Judaism, perse. However, what I failed to realize is that Christianity is very Jewish. A very important point that Westernized minds totally miss, both practically in reading the Bible and even in exegetical work. We simply do not think like Palestinian Jews! In a simple survey of the New Testament any thinking reader will find hundreds of verses quoted from the Old Testament, they are explained, and the fulfillment of the Jewish Messiah on the scene of history is evident. Christianity, (i.e. the movement that follows Jesus Christ), is following a Jewish Messiah. In seeing this as true, and I know of none who would deny this if they have read the Bible, then it is impossible to take out the “Jewishness” of the New Testament. That would essentially destroy all concepts we have about “Messiah” in general. That does not mean that Gentiles must become Jews (i.e. that you, a Gentile reader, must go to a Messianic Jewish Synagogue to worship (cf. Acts 15 and Acts 21) but that the Gentile must realize his “westernized” mindset casts a reflection that the New Testament does not carry. That Westernized grid needs to be set aside when reading the New Testament in its historical context, which is very Jewish indeed. I stated that the Paedo-Baptist “uses hermeneutical tools to dig up from the old dispensation the article of Infant Baptism.” This is incorrect. The Paedo-Baptist does not go back to the Old Testament to “dig” up Infant Baptism; rather, he continues the progression of Covenant Theology through into the New Testament that then dictates the mode and form of baptism, which includes dealing with the subjects of the sacrament. Infant inclusion in the covenant is at the core of Reformed Theology and Covenant Theology, and New Testament Theology. 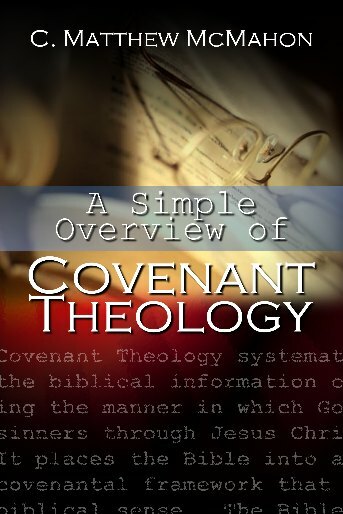 It is true that the progression of the Covenant in time begins in the Old Testament and ends up in its fulfillment (not replacement) in the New Testament. This “one covenant” concept needs to be defined and understood in relationship to the expression of the Covenant of Redemption, the Law Covenant and the Covenant of Grace. Without a proper understanding of each of these, confusion results. I then said that if the same “hermeneutical tool” which is used to dig up Infant Baptism in the Old Testament is applied to the New Testament then there are all sorts of other “aberrant” teachings which results as well. For instance, I said that Infant Baptism is inherently Roman Catholic. Again, anyone who thinks this way, as I did, simply does not understand the Paedo-Baptist’s arguments at all. In other words, to say that because Roman Catholic’s baptize infants is the reason why Paedo-Baptists in general baptize infants is appealing to an ad hominem argument. Paedo-Baptists appeal to infant baptism because infant inclusion in the covenant has been the norm for 4000 years of Jewish history, and there is nothing in the New Testament that teaches that this is abolished. The abuse of circumcises is abolished – no doubt – but the correct view of circumcision is not. Where are the positive statements against the abolishment of practicing infant inclusion in the covenant? The covenantal terminology that the Lord uses in the New Testament, as well as the apostles, is to the contrary (and we will look at those extensively in later articles.) Rather, what we should see, if we were to follow Baptistic Theology, are statements solidifying individualism and not familiar solidarity. We should find no “covenant community” terms relating to the Old Testament in the New Testament, and, to their demise, they are found all through the New Testament – especially in concepts surrounding the letter to the Hebrews, and Luke’s very specific historical tracing through the book of Acts. Unfortunately, for the Baptist, the New Testament is filled with what is contrary to his opinion through his deductive arguments for Credo-baptism. The biblical evidence against his position is overwhelming. I had said, “If you are a Paedo-Baptist you must, of necessity, admit to the Roman Doctrines of the papacy, the mass, the cardinals, etc. To deny them is to deny Paedo-Baptism. R.B.C. Howell rightly states, “The same law that requires infant baptism requires a pope, and established religion, and their adjuncts.” By renouncing all of these, the Paedo-Baptist is forced upon the Baptist ground.” This is arguing for a smoke screen. Howell takes great lengths in his book “The Evils of Infant Baptism” to show that Roman Catholicism and the Protestant doctrine of Infant Baptism go hand in hand. However, his arguments all rest in arguing for thing that have nothing to do with the issues at hand. His exegetical work is by ad hominem inference, and shows no continuity of thought progression in his arguments against the practice. What he does do is take abstract thoughts and attempt to string together a necklace of pearls which is ultimately owned by the Pope on this issue. At this point, my only desire is to show that I disagree with my previous articles and with Howell. I think Howell’s arguments are trite and unscholarly at the most, and exegetically fallacious at the least. Lastly in the previous article, I linked the Galatian Judaizers with Acts 15. I said that the same thing the Judaizers were trying to accomplish in Acts 15 and in Galatians, is the same thing Paedo-Baptists are trying to do today – initiate a rite by bloodshed which is no longer valid (though Infant Baptism is “spiritual bloodshed” as I termed it.) I have read a number of good Baptist commentaries and books on this issue, including web articles trying to purport a position that Acts 15 was not a “council” but was one “Baptistic Church” getting “advice from another.” I do not want to take the time here to refute this argument. Rather, I simply want to disagree with it at the outset. My previous position catered to it, but my further exegetical work shows this to be fallacious as well. This changes the entire tenor and historical consequence of the narrative. Luke, the historian, is very careful to record, under the carrying power of the Sprit of God, a specific dispute, or “examination,” that was not resolved among the planted churches that Paul was ministering around. I believe solid exegetical work bears out the true intent that is non-baptistic. Later articles will show why I believe this. I then said, “Worship in the New Testament is not regulated by the Old Testament’s institutions or analogies, it is instituted by the Gospel regulations of Christ and the apostles.” Where did I get this? I got this from Howell, Gill and Shirreff, not the Bible. Where did they get this? It is a logical deduction out of their theological stance that is deducted from proof texting through the New Testament for Credo Baptism. How, then did I prove my inconsistency in this, as well as their inconsistency it is well? My next statement was, “It is true that there are principles by which the New Testament Christian can learn spiritual truths from the Old Testament.” Huh? I suppose I disregarded what it means to be non-contradictory for a time. I based all this on my suppositions of trying to link the New Testament and Old Testament in some way, though not in a serious way. Unfortunately, my hermeneutic dictated my position; but that hermeneutic was not a biblical exegesis from the text, rather a wrong deduction from the proof texts I had gathered. What is important here is that none of us miss the immense force of the Jewish roots and flavor of the New Testament. For some reason, we often think that the Old Testament is Jewish and the New Testament is bubble-gum and apple pie – the all American Individualistic frontier. Westernized minds have a very difficult time overcoming this. Solid exegetical work will later bear this out, but only if we give up our Westernized grids. And after such work is done, one will see the proper balance needful in understanding the relationship of the Old Testament and the New Testament in this manner; i.e. that the Old Testament demonstrates the need for a Jewish Messiah, and the New Testament furnishes us with a Jewish Messiah.